Adapting technology used in electric motorcycles to race cars might make it easier for carmakers to build EVs, and also may spur a culture change in how the auto industry innovates and how customers perceive going electric. Earlier this summer, we told you about Lola and Drayson Racing’s plans to build a prototype 850 hp electric race car capable of more than 200 mph that can charge itself while on the track. 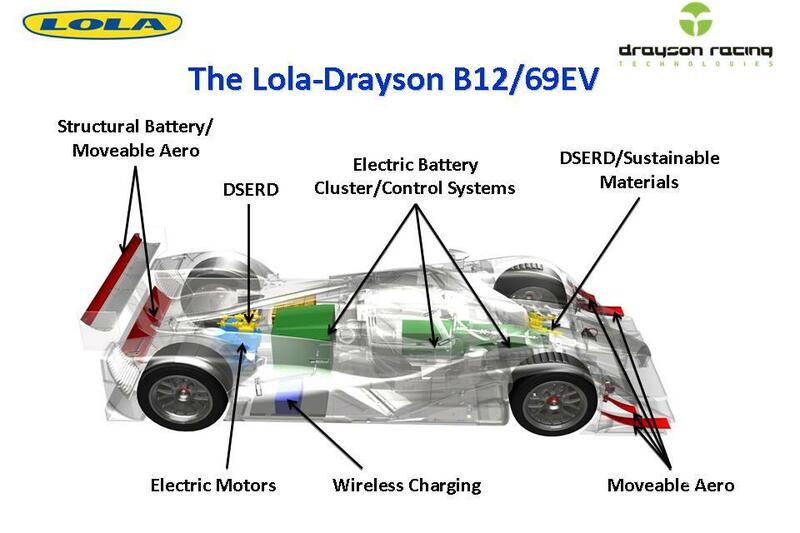 Now, we know that the Lola-Drayson B12/69EV will adapt its battery pack from those used in the TTXGP electric bike racing series. “Electric racing offers the potential to both accelerate the development of electric drivetrain technology in the crucible of competition, but also to show how exciting zero-emissions race cars can be and so shift consumer attitudes towards the adoption of EVs,” said Drayson Racing chief Lord Paul Drayson. It’s “Win on Sunday, sell on Monday” for the 21st century. 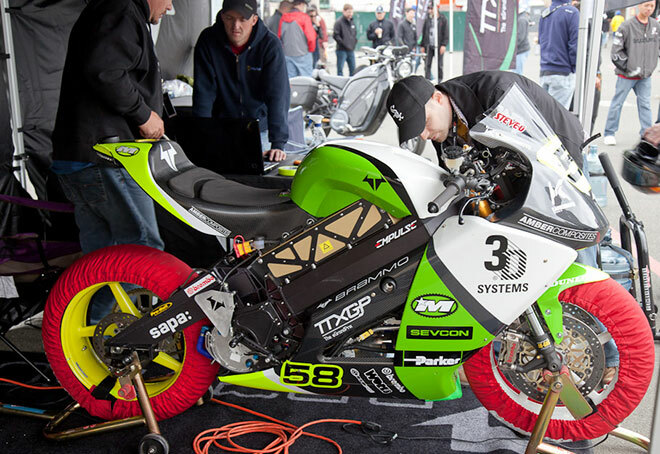 Or, as Azhar Hussain, the founder of TTXGP and its research arm Mavizen, puts it, “Win on Sunday, develop the technology to sell to consumers on Monday.” That’s already happened with the Brammo Empulse — a TTXGP race bike (above) that will soon be available to consumers. And a lot of that research is a one-time cost: Once a solution is found to a problem that plagues an EV racer, you can bet it’ll be in the next generation Chevy Volt or Nissan Leaf. “It’s not the technology that trickles down, it’s the working solution that trickles down,” he said. One working solution already achieved was fitting the technology from TTXGP racing into cars with much higher power requirements. “Packaging the EV drivetrain components into the chassis and achieving the required cooling and weight balance is a considerable challenge,” Drayson said. 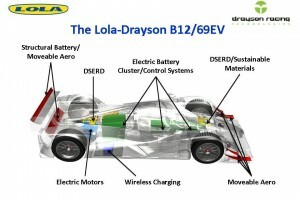 Another technology that TTXGP brought to the A123-Lola-Drayson partnership is a new battery management platform that puts an individual battery controller on each cell instead of requiring external battery management. That gives automakers a “plug and play” solution to installing battery packs, and means that new players can enter the market without having to develop a proprietary battery management system. Hussain is presenting this idea tomorrow at the Cleantech Open regional finals. The emphasis on collaboration is a shift from Detroit-style thinking to Silicon Valley innovation, and it might have more to do with the future success of the EV than any individual technology that will be developed. For example, Drayson wants to adapt TTXGP’s crowdsourced rule book to car racing. “As the technology — particularly of motors and batteries — is evolving so fast, we need a regulatory environment that can keep up with this rate of innovation,” he said. Those rules will be particularly important in the 2013 Formula E racing series, which Drayson says will be a “breakthrough” for EVs, giving electric cars the opportunity to prove their mettle on narrow city courses “using exciting new technology and combined with a new dynamic and modern approach to the whole event so as to appeal particularly to a young urban audience,” he said. Outside of the excitement of racing, Hussain said that the track also offers the best possible way to evaluate a new innovation. “At the end of the day you’re left with a clock and the time on the track, and that synthesizes down all the work that you’ve done,” he said.